Explore your progress with us! 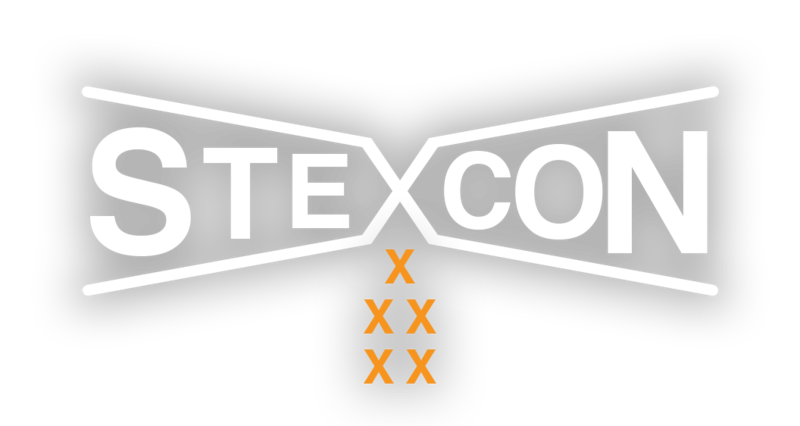 STEXCON is a management consulting office in quality, safety and engineering. We provide strategic studies, analyses and advice. We lead and monitor improvement projects by operational support. We take the improvement of the customer’s value stream as our primary focus in the delivery of our services. We will assist you to become a compliant and high-performing organization, operating by robust processes and an effective quality management system. We will take you on a ‘strategic exploration journey’ by approaching your improvement project from a broad conceptual framework. Our customized support will be in accordance with the maturity level of your organization and with respect for your own culture. Mapping the current state of the process is the first step in any improvement project: what remains invisible, cannot be improved. We use several process maps to visualize the different process steps, the material and information flows, specifying parameters such as cycle times and lead times. The entire process flow will be reviewed together with your staff and supervisors for gaps and improvement opportunities. We can deliver such maps for your primary, secondary and management processes. The visualized process flow is evaluated using value stream thinking principles: we look at the process complexity, information transfer, wait times affecting the internal or external customer, bottlenecks, required skills,… and lead you as such to an ‘unseen’ treasure of improvement opportunities. Together with you, we develop a vision of the future state and an implementation plan to achieve it. Our expertise in various techniques such as 5S, balancing activities, SMED analysis, kanban systems, MES system (OEE) implementation,… aims to take your operational activities to the highest performance level. Offering expert opinion from outside we look at risks with a clear objective view. By the means of a prospective risk analysis as (H)FMEA, HAZOP, Swift,… the risks related to your business processes will be identified and assessed. Our well-prepared pre-evaluation is timesaving for your process experts. You will be guided in developing a safety policy based on strong risk prevention and mitigation measures (built-in quality, process complexity reduction, human factors engineering,…). This while keeping in mind the basic principles of QRM (science-based approach, level of effort commensurate with level of risk). Safety walkrounds or internal audits provide input into your risk management system. With our iOS App CheckGemba rounding becomes an easy and efficient experience. To help you get started we offer short training sessions at your facility. Thus, risk-based thinking, the backbone in all the stages of your product lifecyle, will smoothly gain ground in your organizational culture. Additionally, we can transform information into valuable sources for risk identification and help you build a dynamic risk register. Process studies often result in a necessary technical adaptation. In that case we can provide a feasibility study or technical translation from design to realization. For cleanrooms and laboratoria for example (from BSL1 to BSL4), or regarding bio-safety cabinets, isolators, RABS and HVAC installations (CFD-ANSYS). We help realize lay-out enhancements with or without any space expansion, based on a process analysis for new buildings and revamping (EPCMV projects). Ensuring compliance is always a priority matter at every change. This includes avoiding gaps on cGMPs, software validation (GAMP5), validation of equipment and the elaboration of a Validation Master Plan. We have experience with internal audits, external supplier audits, and have already prepared and successfully completed several FDA and FAGG inspections. We are familiar with tracking systems (GS1 - audit trail), follow-up of CAPA, deviations and change control. We develop handy Apps that help you in getting rid of waste, and to gain sustainability in your daily operations. The resources you save, enable you to do more and better for your customers. Do you want to get more out of your Gemba Walks? Then check out our iOS Apps! They were created to assist you on your walks. And, there is more! We help you get started during an exclusive training course. You will learn how to practice gemba walking with the Apps BlitzGemba and CheckGemba, while monitoring your time with TimeSteward. Used together, these Apps make you go see your gemba in a very powerful way. You’ll meet Jeff, our gemba guide, and he will share his gemba walk experiences at his Pharma facility with you. He will explain how he uses the Apps for a special gemba walk and an audit event. Together with him, you will discover how the Apps turn the action of gemba walking into an action of gathering intelligence for continuous improvement. The clues Jeff observes during his walks, leading him to uncover hidden treasures, will surely surprise you. Jeff also receives lessons related to the mindset of gemba walking and you are invited to his learning sessions! Eager to know how you can enrich your internal auditing program with lean concepts and lift your operations up to the next level of quality excellence? In this training session we demonstrate how that works. Attending the course gives you as such the unique opportunity to support your organization in making the transition towards a quality culture beyond compliance. Easy, not? So, let’s meet at your gemba and get it done! Contact us for terms and conditions! All information entered using the Apps remains locally stored on the user’s device; no data is collected in any way or any form by or shared with STEXCON or third parties at any time. CheckGemba is an easy-to-use checklisting App, designed for gemba walkers, auditors, and inspectors who want to go see shopfloors and facilities working paperless. With a list made beforehand, or during their tour, they will enjoy the opportunity for structured verification and timesaving reporting of the walkthrough findings as a result of the export function to a computer. The App enables you to create and use your own list or a generic list of items you want to check out at your gemba, during an inspection round or an audit. Checklists can be created in the App, or on a computer and imported in CheckGemba. CheckGemba offers you the handy feature to qualify your responses in 9 different categories (see features). Once created, you can share your checklist with others, e.g. to go see different locations with exactly the same checklist. The progress in the verification of the checklist items is made clear by transferring every item from the list of uncompleted items to a list of completed items after it has been answered. So, no more unintentionally missed observation points! Titles can be added to the checklist and the possibility to jump from title to title makes the use of long checklists manageable. During your gemba visit or site tour you can add additional information and media files to your checklist. After finishing the checklist, you can export the items, your responses to them, and your notes. If wanted, you can log the checklist’s handling, and export the items in their sequence of answering. Checklists that are used regularly can be saved in the App as templates and make assessments consistent in time and place. If you would like some assistance in using the CheckGemba App, we will be glad to guide you! In our unique in-company training, we will help you in building your own checklists and share our insights based on our own expertise. We will show you how you can embed CheckGemba into your process 'internal audit'. If you want we can also assist you implementing safety rounds in your organization or developing your audit plan using the App. We will be pleased to hear your special requests. Feel free to contact us! BlitzGemba is an easy-to-use notebook App for a gemba walk reporting purpose. It can be used for an ordinary gemba tour or for a visit with a specific observation goal.The App integrates the principles of lean thinking and gemba management into a standardized, efficient report with handy features (counter, stopwatch, voice recording, score button, photos). It includes the possibility to export your findings so that you can work out your report in your own computer environment. We help you to build your own precious gemba intelligence! Using the iPad and iPhone Apps as your digital notebook. Or with the paper version of the notebook, and your smartphone. You will learn basic principles and the use of the BlitzGemba notebook on the basis of concrete examples. Then we take you on an exploration tour on your gemba. With your findings from your own organizational environment, we guide you towards your next gemba walk or kaizen event. You will discover a unique tool that helps your organization to make progress with innovative lean solutions. Feel free to contact us! TimeSteward is a timekeeping App to monitor events in a visual way. TimeSteward functions as a timekeeper for all your meetings, keynote presentations, trainings, job interviews,… and more! Event items are visualized by colored tiles, of which the height is related to the duration of the event. Tiles are chronologically ordered on the timeline and are controllable for their duration and for their progress in time. Once an event has started, a time indicator shows where you are in the event and the remaining time for the event item. A real-time update per minute shows the delay in time when the event is taking more time than initially foreseen. The tile changes color to red to show that the estimated end time of the event item is coming nearby. This enables the user to keep in track of time. TimeSteward is a real TPS, ‘TimePositioningSystem’: just like a GPS can track your location on the globe, TimeSteward shows the position of your event in time. TR App, a quick safety audit reporting tool, based on the safety observation method for estimating safety level on building construction sites, of the Finnish Institute of Occupational Health, Department of Occupational Safety. The TR App is the electronic version to gather the findings and document the observation tour. The observed safety aspects are: working habits, scaffolding and ladders, machines and equipment, protection against falling, lighting and electricity, and order and tidiness. Each item is scored as 'correct' if it meets the safety standards, otherwise the item is scored as 'not correct'. A safety index is calculated as a percentage of the ‘correct' items related to all the observed items. The safety index gives an indication of the safety level of the construction site. A high safety index as an observation result indicates a low accident rate, and vice versa. The TR method assumes that the observation result is also a better indicator of safety than is a small sample of accidents. The TR method offers a possibility to give objective, instead of negative feedback. This may be one reason why the site personnel are fond of the tool. Contact us for any additional information about our services or Apps. Use our contact form to send us a message with your questions, requests, or feedback. We'll send you a confirmation email. If you don't receive it within 5 minutes, please check your spam. STEXCON guarantees the confidentiality of the information provided via this form or email. The data will only be used for providing you with the requested information and will not be shared with third parties.